Trough or Throne? What's Christmas Really All About? Trough or Throne? What’s Christmas Really All About? Home » Blogs » Trough or Throne? What’s Christmas Really All About? What’s Christmas Really All About? [Editor’s Note: Got Questions Ministries reminds us how crucial it is that we focus on the spectacular supremacy of God’s Son during these days of global Christmas celebrations. 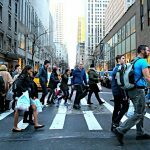 Let yourself get freshly inspired to do so by meditating on the vision David Bryant has incorporated in this blog post created for us by GotQuestions.org. It’s a gold mine of Scripture! Then after reading it go further with its vision by checking out David’s latest book, Christ Is NOW! which expands on this topic in dynamic new ways. Explore and experience the kingship of Jesus in your life, not only on Christmas Day but every day of 2018 (visit DavidBryantBooks.com)]. poised to eat up the Child when it came. who will shepherd all nations with an iron rod. Her Son was seized and placed safely before God on his Throne. Christmas is not only about a baby sleeping in his mother’s arms long ago in Bethlehem. It’s also about a sovereign, saving King in whose kingdom we find everlasting rest—rest from all of our sin, pain, burdens, and fears. It’s not just about “shepherds in the fields at night” but ultimately about the Chief Shepherd who reigns in this hour among the nations. The One who puts the “joy to the world” into the Yuletide season is the One in whose current reign we find a living hope—our only hope!In other words, in the final analysis, the meaning of Christmas goes far beyond a lowly feed trough. It takes us to the glory of a fearless throne. To celebrate Christmas in its fullest meaning, consider these biblical answers from Got Questions Ministries to key questions about the supremacy of God’s Son. What Does It Mean to Say Christ Is King Right Now? Answer: The phrase “king of kings” is used in Scripture six times. Once, the title is applied to God the Father (1 Timothy 6:15), and twice to the Lord Jesus (Revelation 17:14; 19:16). The other three (Ezra 7:12; Ezekiel 26:7; Daniel 2:37) refer to either Artaxerxes or Nebuchadnezzar, kings who used the phrase to express their absolute sovereignty over their respective realms (Persia and Babylon). The phrase “lord of lords” is used by itself in Scripture twice and refers to God the Father (Deuteronomy 10:17; Psalm 136:3). In Revelation 19:16 Jesus is given the full title “KING OF KINGS AND LORD OF LORDS” (Revelation 17:14 switches it: “Lord of lords and King of kings”). The title indicates someone who has the power to exercise absolute dominion over his entire realm. In the case of the Lord Jesus, the realm is all of creation. In John’s vision, Jesus is returning to judge the world and establish His earthly kingdom, as He predicted in Mark 13:26. When Jesus is called “King of kings and Lord of lords,” it means that, in the end, all other rulers will be conquered or abolished, and He alone will reign supreme as King and Lord of all the earth. There is no power, no king, and no lord who can oppose Him and win. How Extensive Is His Reign Today? Answer: There are myriad references to this absolute rule of Jesus and His preeminence over other rulers throughout Scripture. To mention just a few, Isaiah 40:23-24 says that the Lord brings “princes to nothing” and makes earth’s rulers “emptiness.” The mere breath of the Lord will “carry them off like stubble.” Daniel’s vision of the son of man in Daniel 7:13–14 is of one whom he calls “the Ancient of Days” whose everlasting dominion is over all people, nations and languages. In the New Testament, we get a better view of the One these passages refer to. The writer of Hebrews speaks of the Lord Jesus this way: “He is the radiance of the glory of God and the exact imprint of his nature, and he upholds the universe by the word of his power” (Hebrews 1:3). The next verse speaks of Jesus being “much superior” to the angels. Clearly, His rule over creation is absolute. How Does Jesus’ Kingship Fit In With Christmas 2017? Answer: Paul makes the point that Jesus was humbled in His earthly ministry and that His humiliation will result in glorification. In Philippians 2:5-11, Paul discusses the extent to which Jesus went to atone for sinners; Jesus’ perfect obedience is the reason that “God has highly exalted him and bestowed on him the name that is above every name, so that at the name of Jesus every knee should bow, in heaven and on earth and under the earth, and every tongue confess that Jesus Christ is Lord, to the glory of God the Father” (vv. 9–11). The Suffering Servant becomes the King of kings (see Isaiah 53:10-12). What Will the Climax of His Current Reign Look Like? Answer: Finally, in the book of Revelation we see the Kingship of Jesus made manifest. In chapter 5, the Lamb (Jesus) is the only one in all creation found worthy to open the scroll containing the judgments of God (vv. 2–5). In chapter 11, we hear voices in heaven proclaiming that the kingdom of the world has become the kingdom of Christ and that He will reign forever and ever (v. 15). In chapter 12, we read that the authority of Christ is what causes Satan to be thrown down to earth (vv. 9–10). In Revelation 17:12-14, the Lamb conquers all those arrayed against Him, and John stresses that He conquers because He is King of kings and Lord of lords. Finally, in chapter 19, we read of Jesus’ triumphant coming to strike the nations and tread the winepress of the wrath of God, having the authority to do so because He is King of kings and Lord of lords (vv. 11–16). Oh, Come Let Us Adore Him—for Real This Year! Fundamentally, the idea of Jesus being King of kings and Lord of lords means that there is no higher authority. His reign over all things is absolute and inviolable. God raised Him from the dead and placed Him over all things, “far above all rule and authority and power and dominion, and above every name that is named, not only in this age but also in the one to come. And he put all things under his feet and gave him as head over all things to the church, which is his body, the fullness of him who fills all in all” (Ephesians 1:21-23). “What does it mean that Jesus is King of kings and Lord of lords?,” Got Questions Ministries, accessed December 1, 2017, [https://www.gotquestions.org/King-of-kings-Lord-of-lords.html]. Suggestion: This season why not give a gift that will make the kingship of Jesus very special for all of your family and friends? 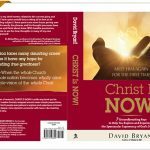 See David Bryant’s brand new book Christ Is NOW! 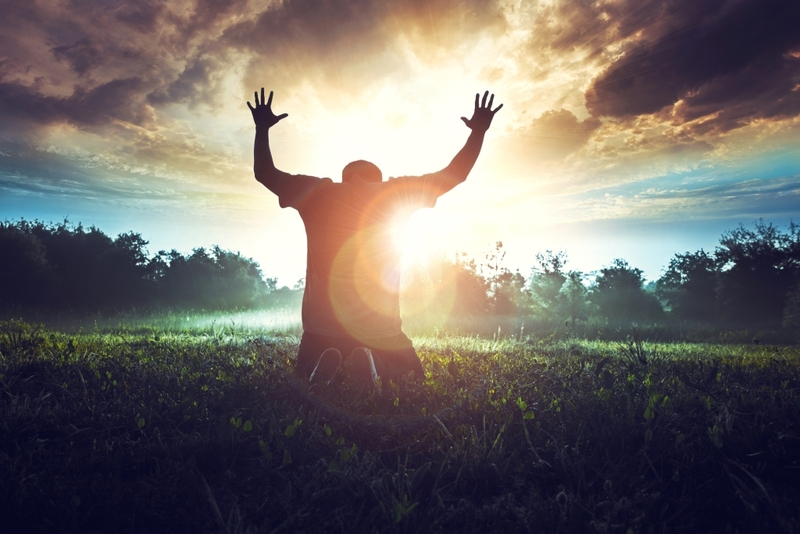 7 Groundbreaking Keys to Help You Explore and Experience the Spectacular Supremacy of Christ Today. Visit www.DavidBryantBooks.com. Over the past 40 years, David Bryant has been defined by many as a “messenger of hope” and a “Christ-proclaimer” to the Church throughout the world. Formerly minister-at-large with the InterVarsity Christian Fellowship, president of Concerts of Prayer International (COPI) and chairman of America’s National Prayer Committee, David now provides leadership to ChristNow.com and to Proclaim Hope!, whose mission is to foster and serve Christ-awakening movements. Order his widely-read book at www.ChristIsAllBook.com. The Reign of Christ Is Exploding in New York City! Here’s How It Can Happen Where You Live!